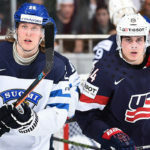 On Saturday a report in The Hockey News had 2016 NHL Draft prospect Auston Matthews considering offers to play in Europe next season. According to swisshockeynews.ch, Matthews has signed with the ZSC Lions. The Everett Silvertips own Matthews’ Western Hockey League rights and several NCAA schools have been pursuing the 17-year-old. 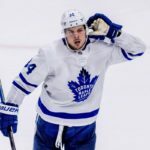 Sportsnet’s Damien Cox reports Matthews could earn in the neighborhood of $500,000 playing in Europe. The Scottsdale, Arizona native would still be eligible to play for the U.S. at the World Junior Hockey Championship and potentially next year’s World Hockey Championship. Auston Matthews is projected to go number one in next year’s NHL Entry Draft. By passing up playing major junior hockey in Canada he will also bypass the idiotic CHL transfer agreement which forbid a player to play in the AHL until they are no longer junior age eligible. 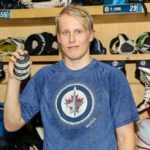 This dated rule has impacted such players as Mikhail Grigorenko, Sam Reinhart, Sam Bennett, and Leon Draisaitl in recent years. 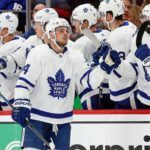 Players who are not yet good enough for the NHL, but certainly no longer junior players. There is no logical reason why top prospects can’t play in the AHL. Rules should be in place to help encourage development, not artificially prop up talent levels for junior hockey.